Metallic element isolated for the first time in 1825 by Danish chemist Hans Christian Oersted. 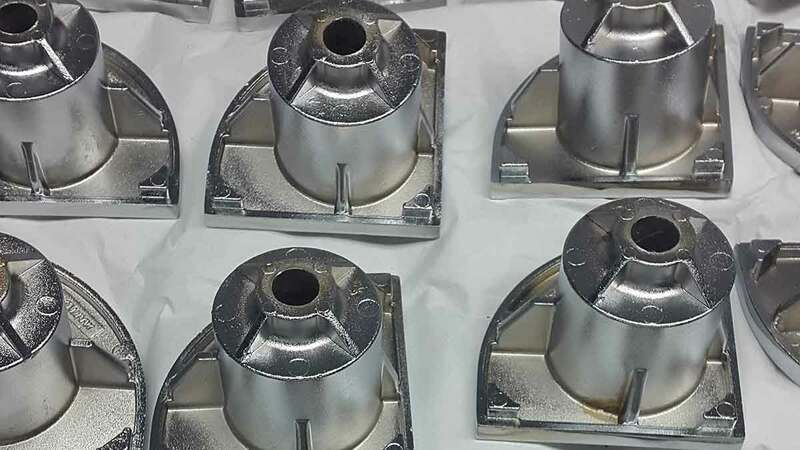 In contact with the air, the metal is quickly covered with a veil of transparent and very resistant oxide, which protects the surface from the effect of corrosive agents and from deep oxidation. It reduces various metal compounds to the ground state, and this property is exploited in some industrial processes such as, for example, iron welding: a mixture of iron oxide and aluminium powder, called termite, is placed on the iron or steel parts to be welded; the mixture is madeto react, the aluminium quickly removes the oxygen from the iron and the separated parts are welded by the effect of the heat developed by the reaction. zinc : especially when combined with magnesium, imparts a high mechanical strength. nickel, titanium and zirconium (mechanical properties), bismuth, lead, cadmium and tin, silicon, for a particular purpose. Iron is always present as impurity. Consonni srl makes aluminium chromium plating.